Sausal Creek going underground again. 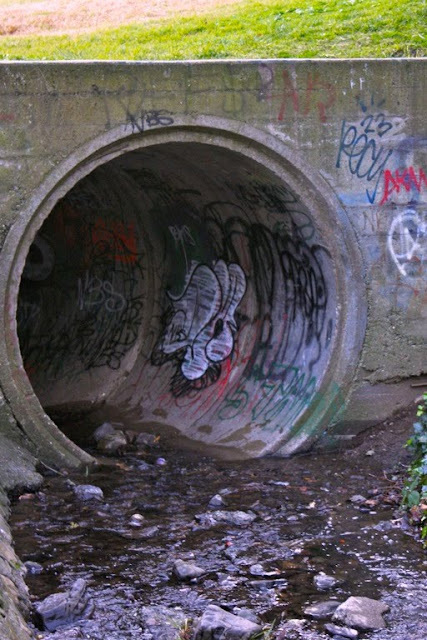 It must have taken some wet effort to tag this culvert. The question remains: Why? Practice? You are courageous to show this. I don`t know, but I guess some youngsters have to "mark" their area.